Is GPC Medical Limited an International certified company? Yes, GPC is an ISO 9001 certified company. We also have other certifications like ISO; 13485; 2003 and CE Standards. We are also WHO-GMP Compliant. Some of our products are US FDA 510 (K) approved. What is the minimum order I can place with your company? We value all our customers, and therefore entertain almost every order, from a single piece to very large shipments. However, some disposable products including the scalpel blades are not produced in small quantities. In how much time are the good delivered after the order has been placed? Generally it takes 2 to 4 weeks for any kind of order to be delivered. Depending upon the volume of the order, the country to which the order has to be delivered, and the mode of shipment, the time may vary. The transit time is extra. What are the terms of mode of payment? Payment in Advance - If the client makes the full payment in advance at the time of placing the order, the client gets discounted prices. For small orders this method gives a better deal to the buyer. To send an advance payment you may send a bank draft or deposit the money in the company’s account via Wire transfer/Telegraphic Transfer (TT) using the company’s bank details. This is the best mode of payment for the clients as they get the discounted rates as well as the minimum bank charges have to be paid by them. Letter of Credit - For large orders or Tenders, many buyers prefer this mode of payment. In this mode of payment the bank charges are very high and are to be paid by the buyer. Partial Advance - For large orders, we expect to receive 25% of the total amount in advance. The balance payment is payable when the shipment is ready for dispatch. CAD – This mode of payment, though accepted in certain cases, is not preferred. Yes, we do send samples. They are supplied at discounted prices. However, samples of inexpensive items are sent free of charge, but the buyer has to bear the courier charges. What are the shipping/ freight charges? The volume/weight of the products and the mode of the shipment determine the freight charges. The customers are informed the estimated charges well in advance. What are the other products you supply apart from rehabilitation products & aids? We have been in this business for almost 8 decades now. To which countries do you supply? Our medical and hospital products are supplied to almost all the countries in the world. Some of our largest buyers are in the European countries. They import our products even for re-export to other countries. How can I get a quote, catalogue, or price list? 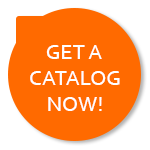 Please CLICK HERE to get a quote, catalogue, or price list.